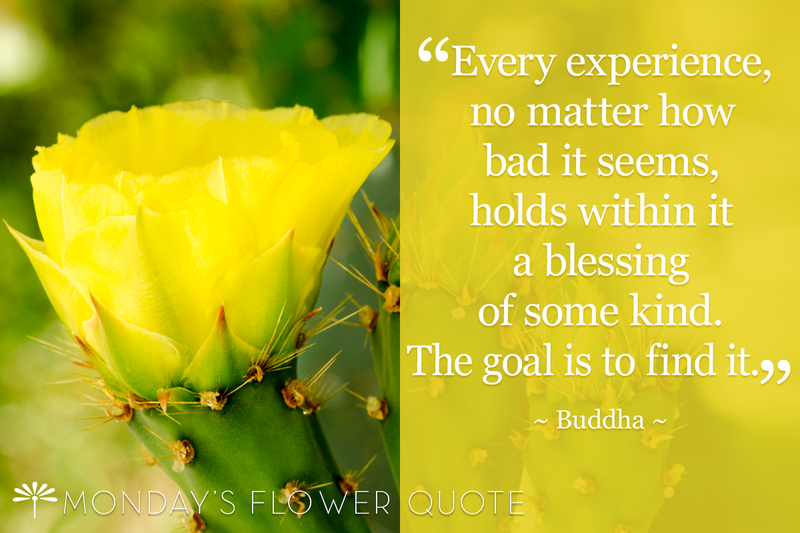 Every experience, no matter how bad it seems, holds within it a blessing of some kind. The goal is to find it…When dealing with a challenging situation, it’s often so much easier to see how hard and difficult it is. The feeling of ‘woe is me’ attitude. The truth is that no matter how bad it may seem, there is always something to gain strength and to grow from it. Like this cactus, there are often tough and prickly times in life, but know there is a flower/blessing that will bloom from it. I know it helps me to make it through knowing there is that blessing. With my own journey with cancer, I know I have gained so much more. I would not be the person I am today without the experience. Buddha (c. 563 BCE/480 BCE – c. 483 BCE/400 BCE) whose full name was Gautama Buddha, was born in a life of luxury. He married and had a son, and it wasn’t until the age of 29 that he had ever been outside of the palace he was born into. Once he did leave the palace, he learned that something common for all mankind was suffering. From that experience, he left his family and the life of luxury he was born into to achieve enlightenment. Buddha traveled as a beggar and settled in the town of Uruvela. This was where he first practiced extreme deprivation and starved himself. He realized the extremes he was practicing was not the answer. So, he created ‘The Middle Way’, a life of moderation along with ‘Four Noble Truths’. For me, fascinating history to learn about. To read a more in-depth history about the buddhist principles and history. Englemann’s Prickly Pear. Photographed @ Tohono Chul Park.